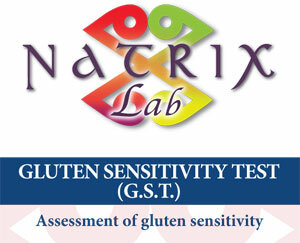 This is one of the first tests able to evaluate non-celiac gluten sensitivity, a disorder affecting people who suffer from intestinal and general disorders due to gluten intake, but who do not have celiac disease and are not allergic to wheat. Gluten sensitivity often occurs in people who suffer from an irritable colon and intestinal inflammation, because it is easier for food that has not been completely digested to come into contact with the immune barrier and trigger off an inflammatory response. It is estimated that 6-8% of the population are gluten sensitive, and it is a chronic condition that is shown with intestinal or general symptoms of varying intensity, related to an intake of gluten. 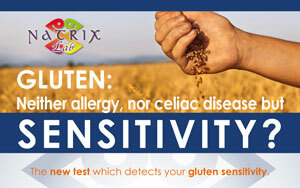 This sensitivity is generally associated with the appearance of anti-gliadin antibodies (IgA and IgG anti-AGA), a molecule present in gluten, a protein compound found in wheat, spelt, rye, kamut®, barley and other cereals. Unlike celiac disease, where ingesting gluten damages the intestinal mucous until the villi atrophies, leading to poor absorption, the symptoms of gluten sensitivity are more obvious from bad reactions to food, the so-called “delayed allergies”, or better known as but improperly called “food intolerances”. Diarrhoea, constipation, irregular bowel movements. Asthma, cough, hoarseness, excess mucous. 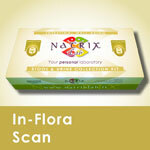 Cramp, muscular tremors, weak muscles, joint and muscle pain. 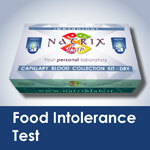 Preparing for the test: fast for 8 hours beforehand, and it is important to take the test at a time when you are still eating food containing gluten. 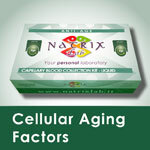 The only effective treatment to relieve or improve these symptoms, is to follow a specific diet protocol. A correct diet not only rapidly eliminates the problems (the symptoms recede already in the first month), but it also helps prevent other allergies or sensitivity developing, or even evolving further to become celiac disease. 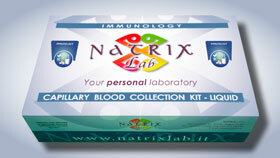 In order to assist here, NatrixLab has developed specific food protocols that enable eliminating gluten from your diet without running risk of deficiency of those necessary nutritive substances you need: please contact us if you wish for more information. We recommend repeating the test after 6-8 months. For treatment monitoring, the test should be repeated when your doctor recommends. 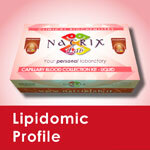 The “Lipidomic Profile” is a test that systematically identifies the lipids, commonly known as fats, and their structural and functional nature in both physiological and pathological situations. Caio G, Volta U, Tovoli F, De Giorgio R. Effect of gluten free diet on immune response to gliadin in patients with non-celiac gluten sensitivity.BMC Gastroenterol. 2014 Feb 13;14:26. Catassi C, Bai JC, Bonaz B, Bouma G, Calabrò A, Carroccio A, Castillejo G, Ciacci C, Cristofori F, Dolinsek J, Francavilla R, Elli L, Green P, Holtmeier W, Koehler P, Koletzko S, Meinhold C, Sanders D, Schumann M, Schuppan D, Ullrich R, Vécsei A, Volta U, Zevallos V, Sapone A, Fasano A. Non-Celiac Gluten sensitivity: the new frontier of gluten related disorders. Nutrients. 2013 Sep 26;5(10):3839-53. Review. 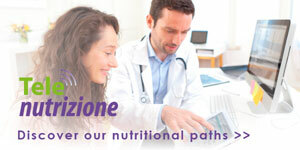 Volta U, Bardella MT, Calabrò A, Troncone R, Corazza GR; Study Group for Non-Celiac Gluten Sensitivity. An Italian prospective multicenter survey on patients suspected of having non-celiac gluten sensitivity.BMC Med. 2014 May 23;12:85. Sapone A, Bai JC, Ciacci C, Dolinsek J, Green PH, Hadjivassiliou M, Kaukinen K, Rostami K, Sanders DS, Schumann M, Ullrich R, Villalta D, Volta U, Catassi C, Fasano A. Spectrum of gluten-related disorders: consensus on new nomenclature and classification. BMC Med. 2012 Feb 7;10:13. Sapone A, Lammers KM, Casolaro V, Cammarota M, Giuliano MT, De Rosa M, Stefanile R, Mazzarella G, Tolone C, Russo MI, Esposito P, Ferraraccio F, Cartenì M, Riegler G, de Magistris L, Fasano A. Divergence of gut permeability and mucosal immune gene expression in two gluten-associated conditions: celiac disease and gluten sensitivity. BMC Med. 2011 Mar 9;9:23. Giacomo Caio, Umberto Volta, Francesco Tovoli, Roberto De Giorgio. Effect of gluten free diet on immune response to gliadin in patients with non-celiac gluten sensitivity. BMC Gastroenterol. 2014; 14: 26. Published online 2014 February 13.